He's going to spend the next 20 minutes beating and yelling at his wife, and then pass out on the toilet. 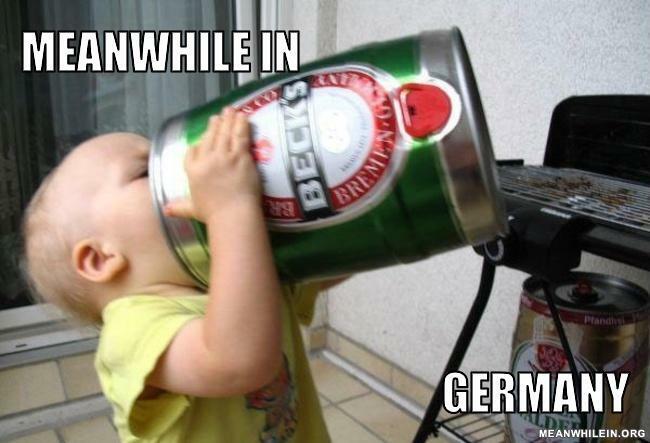 i love to be a german and drink alcohol with 16. yeeeeeah! I straight up saw a drunk 3 year old at Oktoberfest. No joke. I guess watching The Wiggles and pretending to be a fire engine are pretty stressful if you have to it five days a week. "Ok kid now put down the Becks and pick up the Russian Standard like a real man" - Put the Russian Standard down and pick up the Everclear like a real man.